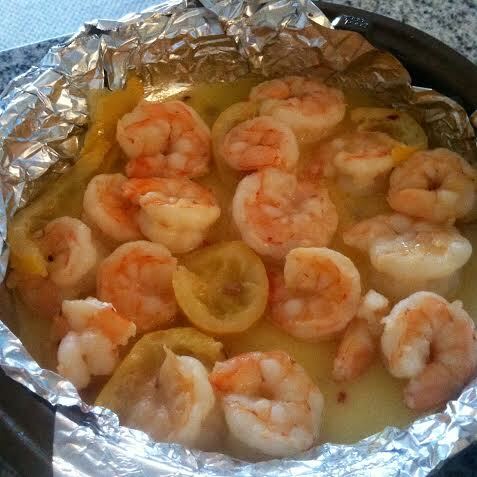 Since summer is coming, I thought now would be the perfect time to share one of my all-time favorite recipes for citrus butter shrimp. It’s the perfect summer dish because it allows shrimp to bask in its pure glory while also drowning in melted butter, lemon and red pepper flakes. Ok maybe not perfect for summer…you have to put up with the oven, heating up the whole house—but thou shalt sacrifice for delicious food, n’est-ce pas? As warm weather peeks its head out I start to crave simpler foods. This dish covers all the bases, and I hope you’re inspired to make it as well! 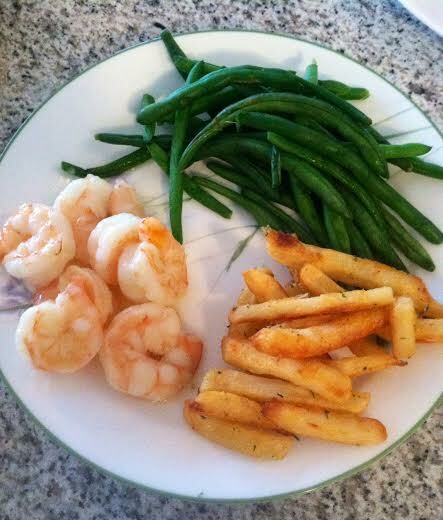 **Also Chelsea just informed me that today is National Shrimp Day! Am I psychic or what?? Optional: oregano, thyme, garlic salt, etc. Melt butter in a pan (I used a 9 inch circular pan) by placing it in the oven for a minute or two. Then take the pan back out of the oven. 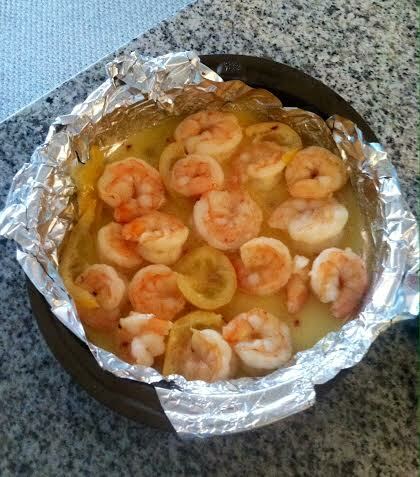 Arrange the shrimp on top of the lemon/butter mixture. Stir around so all the shrimp is getting some butter action. If the amount of butter scares you off, never fear! Much of it is leftover in the pan. It’s just a wonderful cooking agent that really brings out the beauty and simplicity in shrimp. Plus, if butter scares you, you have bigger fish to fry (no pun intended). No panko, no frying, no bread, nada. Just simple, beautiful citrus butter shrimp. I squeeze a little extra lemon over my final serving, but do whatever floats your boat. Are you a shrimp lover? What’s your favorite recipe? What’s one thing you’re looking forward to this weekend? 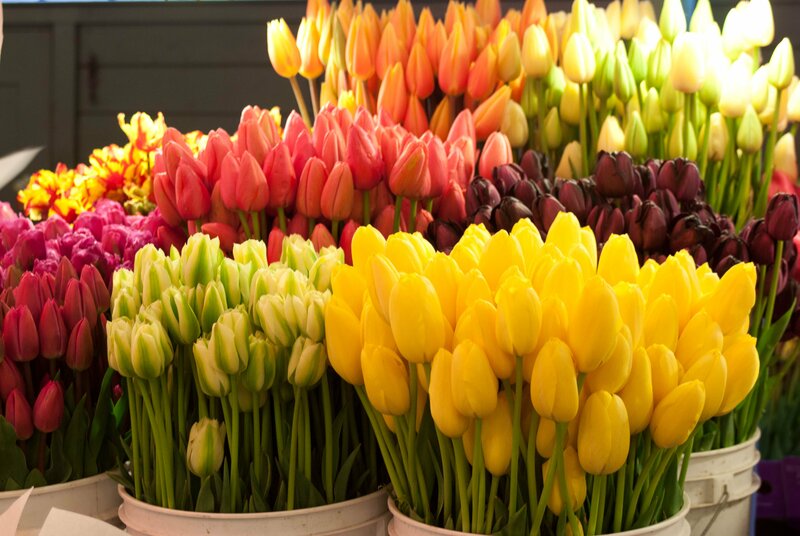 HAVE A GREAT WEEKEND and don’t forget to grab your mom some beautiful tulips for Mother’s Day! You guys, it would be a sin, a downright sin, if I didn’t share this recipe with you. I’ve never been an easy girl to please in the grilled cheese department. If you hand me some Kraft singles in between Wonder Bread I’ll shoot you a stink eye like none other. That kind of simplicity just doesn’t do it for me. But hey, I’m an American, so of course I love throwing cheese, butter and bread together and calling it a meal. Here’s the quick, easy, and did I mention cheap recipe I threw together last night. 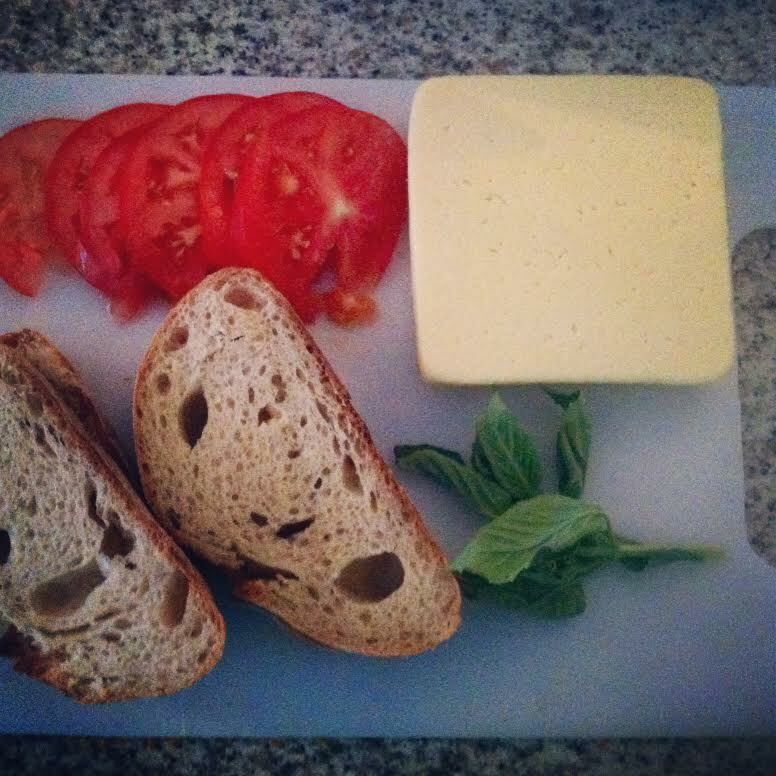 PS whatever you do, do not be afraid of Havarti. It tastes like butter. It’s basically a butter and butter sandwich. So just make it. After about three minutes, check if the bottoms of the sandwiches are crispy and light brown. If so, flip ‘em over! Once the other side is light brown and crispy, you’re all set! I ate my sandwich in two minutes. So there’s that. Enjoy! What’s your favorite style of grilled cheese? For me, there has to be tomato in there.